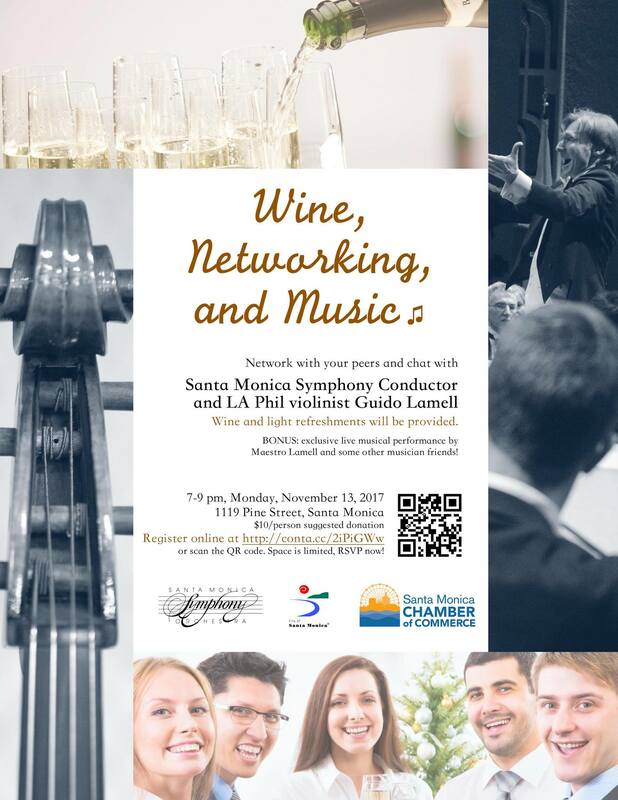 The Santa Monica Symphony (SMS) is offering young professionals the exclusive opportunity to hear SMS Conductor and LA Phil violinist Guido Lamell talk about leadership lessons learned from the podium. Wine and light refreshments will be provided. Come network with your peers, chat with Maestro Lamell (now’s your chance to ask him any questions you have about music! ), and find out what it’s really like to lead a symphony. As a special treat, Maestro Lamell and some musician friends will give a live performance at the end of the evening! Suggested donation for this event is $10. Please refer to the below poster for time and venue of the event.